You can always contact LaserTryk.co.uk if you have questions or want to place an order. You are welcome to call us, but price inquiries should be sent via e-mail, as that way you are guaranteed fast and written reply. E-mails are always answered within 24 hours - and often faster. 02079530331 – see direct numbers under employees. info@lasertryk.co.uk – see direct numbers under employees. 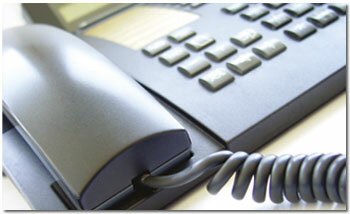 Remember that you can contact us when it is convenient for you to purchase printed matters! Lasertryk.co.uk is owned by the danish print company LaserTryk.dk A/S and is one of Scandinavians biggest printing companys with more than 50.000 customers. As an english customer you wont notice any difference in using us compared to a local print shop. We got english post code, adresse, phone number, bank account, homepage, and english speaking personal. Even when the production is in Denmark, you will recieve a local, english package, were the extra fees are already paid for. Buying our printed matters is exactly the same as shopping at your local print shop, but with international prices. If we do not send your print on time, the printed matter will be offered free of charge, maximum £150 and excluding freight. Enter your e-mail below and receive an offer on the products in the shopping basket. * If you write a sender-mail, the receiver will be able to press "reply" to the message and thus easy answer mail. We always send a cc copy of the offer to the sender address. Add comments to the e-mail if required. If you have questions regarding any of the products in the offer, please contact customer service. By selecting 'Order via customer centre' your order is forwarded to your personal customer centre. If you are a new customer, you will have to create an account first of all. This will not take long. One of the advantages of ordering via your customer centre is that you can transfer files of unlimited size. By selecting 'Order by e-mail' an e-mail with the selected order information is generated. You only need to attach your print file(s) and send the e-mail, after which we do the rest. The system requires that you have a local e-mail account on your computer (not Hotmail, Gmail etc.). Fill in the fields below and register for the e-mail service. You will then receive current offers on new types of offset pool printing, extra types of printing, etc. You will also receive information regarding new developments in digital printing, pool printing, campaign offers, etc. E-mails are sent approx. every 14 days and each time you can indicate if you no longer wish to receive further e-mails. If you want to order several products at the time, click this button. You must enter information in the same way as for the individual orders. We recommend that you order online. In this way you can be sure that the order has been given correctly in terms of format, print run and colours. You also avoid delays caused by us having to place the order manually. Get sent the contents of the basket for an optional address. The message includes a direct link, so the order can easily be resumed. direct link in the email that you can follow and place your order in a few clicks. and attach your print files, if that is easier for you. to help at info@ScandinavianBook.co.uk or tel. 02079530331. Hamilton House, Mabledon Place, Bloomsbury, WC1H 9BB. who will be happy to calculate a price for you. You can contact us at info@ScandinavianBook.co.uk or tel. 02079530331.